FUNNIEST GAME - This durable game is perfect for kids and for adults. This toy will bring a lot of enjoyment and fun to your friends and family. We assure you that you will have plenty of laughter and happiness throughout the game. Buy now with confidence. 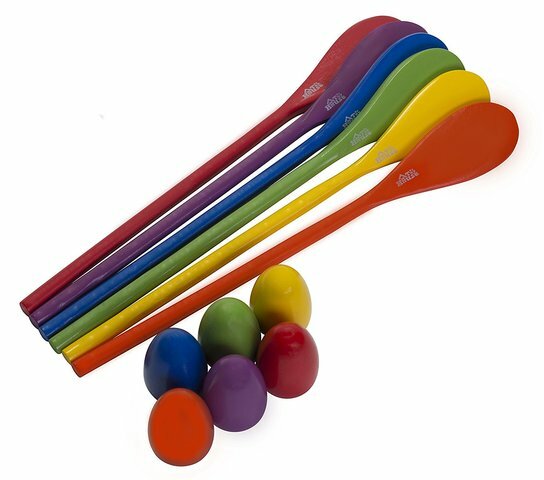 MULTICOLORED DESIGN - Our set includes 6 different vibrant colors of spoons and eggs. It's made of durable wood so no worries if you drop it. This is a perfect gift by anyone for their birthdays, Easter and much more. PARTY TRIGGER - This game is perfect for your kid's birthday, let the entire friends contest with each other and have fun. We guarantee you have a great time, even if you are young or old. 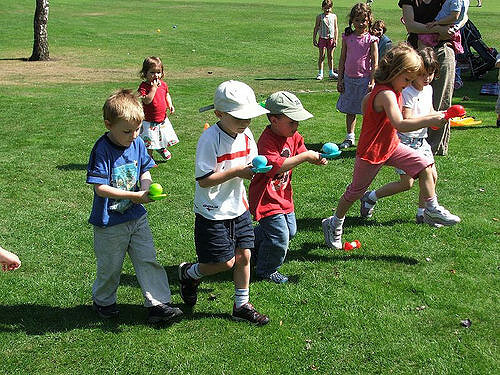 EASY TO PLAY - Simple place the spoon in your mouth and place the egg in the spoon and see how far you can walk or run. This game is very good for training your balance system in our brain.